How good are the sources for what happened at the trial of Jesus? Can they help explain why the Jewish authorities handed Jesus over to Pilate, who ordered immediate torture and crucifixion? Despite discrepancies in their accounts of what transpired at Jesus' tomb, all of the sources agree in important ways. This course is fairly informative. I've done a lot of reading on the historical Jesus, and he presents some things I did not know. He also leaves important and glaring details out. For example, he never mentions that the nativity stories of Matthew and Luke came verbatim from the life story of Mithras and other dead and rising god cults of the time, which the majority of early Christians had belonged to, though it seems like it would have fit right into what he does say. That is extremely important because it allowed many of us to return to Christianity. The people who wrote those gospels and the people who celebrated them never literally believed a word of it, so clearly we aren't required to believe it literally. This set of lectures even includes one or two pieces of information that weren't in "How Jesus Became God". I kind of wonder why we need to have as many as four or five series of lectures by the same person that pretty much each present the same information, and you still have to listen for days on end in case there is something new. He downplays the role of the story as sacred metamythology. He tells us that the stories are true in different ways than literal truth, often in the sense of trying to make theological points. For instance, putting the birth story of Mithras into the Christian gospels made sense of Jesus as Lord of the Covenant to people coming from a pagan background. Other ideas clearly written into the story emphasized Jesus as Jewish Lord of the Covenant, for instance, the entire tale about fleeing to Egypt to escape a mad king who slayed every infant. Jesus as the new Moses, inaugurator of the New Covenant. But Ehrman leaves out all of this. Another detail left out, though it doesn't contradict his own ideas, is that Jesus was specifically said to have come from Nazareth, only because he was called "the Nazarene". A Nazarene was a movement in the time of the historical kingdom of Israel, that produced Israel's prophets. They lived in the wilderness, wore camel's hair or fur, and ate locusts and honey, and their focus was on social justice and the sustainability of faith and society. John the Baptist was a Nazarene, or wanted people to think of him as such. Jesus seems to have been a student and then partner with John the Baptist. His role fits in with that of the prophets of Israel, who were Nazarenes. Whether he thought the end times were near or not, he wanted to revitalize the faith of Israel - and his active faith was very much here and now living in its focus, not other time or death oriented. But that outright does contradict Ehrman's thesis, which is that Jesus thought he was the Messiah, going to rule his people after he appears in a blaze of glory, instituting the apocalypse and the final judgement and all of that. St. Paul was probably less drawn to Christianity because he was a acopalyptist, but by the evolving theology of the dead and rising god. He was clearly a very troubled man. His background was mixed Jewish and pagan. His epiphany on the road to Damascus was the sort of vision suddenly catching onto the dead and rising god in the Jesus story would have had. This doesn't mean that St. Paul didn't think the end times were near. Pretty much everyone in Judea in the 1st century AD believed that, as my clergymen have always been fond of pointing out. St. Paul often said the end times were near, but this also was not his primary focus. His primary focus was getting his congregations to work together, functioning in a harmonious and charitable manner, and his emphasis suggested he very much thought they'd be functioning, or not, for some time to come. As far as where Jesus was actually from, there is considerable story between the lines in the gospels and the Acts, that suggests Jesus belonged to a priestly family in Jerusalem. John the Baptist, who we're told was his cousin, was a priest's son. Mary specifically went to visit Elizabeth while pregnant, because she was kin. Christianity thrived in Jerusalem partly because powerful people in the Sanhedrin kept protecting it. The Disciple who Jesus Loved sometimes behaved oddly as if he were a priest, and he wasn't the only such in Jesus' circle. 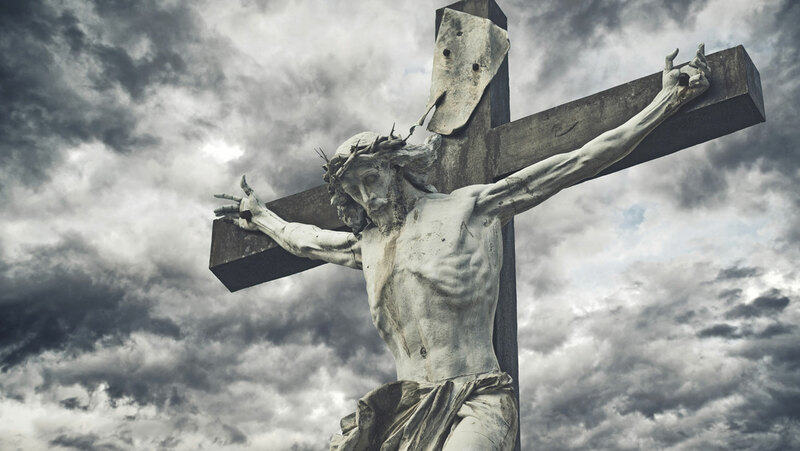 Ehrman is at such pains to insist that Jesus having been crucified would not have been buried in a tomb, though I think it was from him that I learned that three other people were, that I was left wondering what he thought he was denying. Of course, he denies the key role of Joseph of Aramathea, in obtaining the body for burial. In fact, if it is true that bodies were normally left hanging rather than taken down so that they were not left hanging on the sabbath, which it may not be, that would rather emphasize how powerful Nicodemus and Jesus' tie to him were. If Joseph of Armathea was able to do this, and if it was actually unlikely, then he must have had some power or connections. He is extremely long winded, and too wound up. His lecturing style sounds more like sermon preaching. He actually puts one to sleep, going on and on and on, and it often isn't necessary to listen to an entire lecture to get not only the point but all of the supporting information. He has a narrow and hard headed focus on Jesus having an apocalyptic focus to his teaching and his work. He spends half the class arguing for this point of view. He goes on and on ad nauseum, far too long, arguing for this point of view. He is far more interested in converting us into acocalyptists or whatever they would be called, or else talking us out of believing in Jesus altogether, than he is in educating us about the historical Jesus. The "son of man" has a number of possible meanings, and his suggestion is just one. He doesn't successfully make the case that Jesus thought he was the "son of man" in the sense of someone going to come down from heaven in a blaze of glory to judge the living and the dead, thence to rule the people of Israel as king, everyone else to have been sent to hell or whatever, isn't convincing and falls flat, and it really sells short the work of our Lord. Ehrich argues that Jesus' entire focus in all of his emphasis on how people should live together, have charity and have compassion, and on the lower and more humble elements of society, was SOLELY because the last judgement would only accept into heaven or whatever, people who were NOT rich and successful, only because society would be stood on its head. It's a silly and stupid argument, and not the only example of silly and stupid arguments Ehrman makes. Even if Jesus believed he WAS the son of man, that would still be silly, stupid, and wrong. The argument with which he knocks down any notion that Jesus taught love and charity toward one's fellow man because he thought that was a good way to function, reveals a strange Evangelical Christian bias that might possibly also explain the emphasis on Rapture Theology as main theme of the crucifixion and resurrection. Whether Christians believe, that being a Christian is about love of one's neighbor, or about believing in Jesus' death and resurrection, depends on what Christian you ask. Evangelical Christians believe one is saved by belief in Jesus' death and resurrection, and everyone else thinks attitude and treatment of one's fellow man is critical. Jesus himself said repeatedly that one needs to have humility and love one's neighbor to be saved. Jesus' mission was about revitalizing his faith. Ehrman wants to dismiss Jesus' entire life as some sort of failed before it started effort to get his people to pass some test before he came back in a cloud of glory and judged them on it in three years, whyever he'd do that if that wasn't why they should live to begin with. Adding to my suspicion, is that Ehrman's lecturing style is exactly an Evangelical Christian minister's preaching style, with lots of emotional overemphasis, voice raising, arm gestures and fist pounding, and constant citations of scripture, and that isn't just how a scholar does it. Ehrman's entire manner is completely inappropriate in an academic context. As for Dominick Crossan, he really goes too far off the deep end with the Jesus as peasant thing. Most else that he has to say about Jesus is right on. In particular, his point that the impact of the resurrection story is about the fact that Jesus' life and courageous manner of death stood death on its head, he was one of those rare people who only become much more powerful when they die, and that death is not the end, speaks far more powerfully to me, than some notion that Jesus and his early followers thought he was going to come back in a blaze of glory to judge the living and the dead. What is more, a number of scholars have argued very convincingly that that is precisely what drew the bulk of pagans to Christianity. Ehrman even missed the point of overturning the money changers' tables in the temple. He agrees with Crossan and others that Jesus felt he needed to confront the center of power in order to transform it in order to revitalize Jusaism. However, this was no failed desperate move to instantly transform Judea into a righteous nation ahead of the immiment final judgement. It makes no logical sense to think Jesus didn't know that the outcome of this confrontation was likely to be his death. He had a chance to get away and went to Gethsemane and prayed, showing fear in a way that woudn't likely have been described that way if he wasn't terrified. How would most people know when people sweat blood. Ehrman omits to tell us that the most likely explanation of Jude's involvement is that the arrest was in fact arranged. Like Obiwan Kenobe, Jesus knew he could only win by dying, and he proved brilliantly right. Whether he didn't quite die is anyone's guess, but if he stayed alive it certainly didn't last long, and the sightings of him after his death were both inconsistent in their reports, and seeming more spiritual than literal, and sometimes more literary than anything else. The disciples were to go to the mount in Galilee to meet Jesus where the story began? Jesus not crucified because Judas betrayed him for telling his disciples he was the Son of Man, going to rule Israel. What a thoroughly silly theory. He was crucified because in the money changer scene he figuratively destroyed the corrupt Rome-centered structure of the temple, which was how Rome held Judea.